Being stalked by a bear is one of the most dreaded experiences anyone can experience. 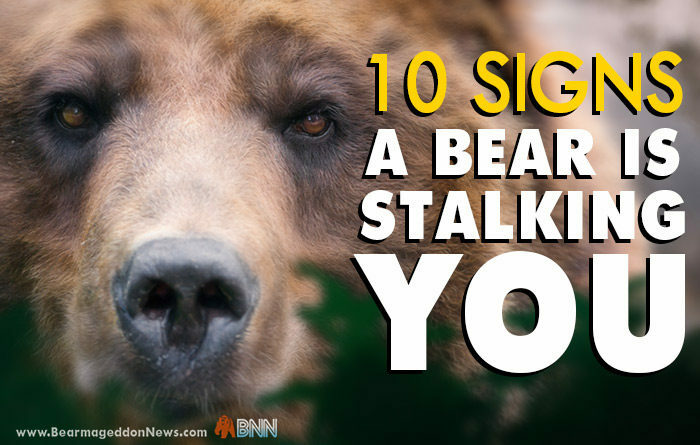 Do you know all the signs you are being stalked by a bear? Read on for expert tips on how to tell if you have a grizzly on your tail and what you can do about it. This is the first sign a passing bear might think about paying you another visit. They look, and then they look again. Watch those eyes. If they take that second look, they see something they want. Think the bear didn’t follow? Think again. Check any areas near your home where paw prints could be left. Check your lawn for droppings. If you find anything, lock your door. You have a stalker. Honey on your car. Flowers in your mailbox. Salmon on your doorstep. A stalking bear will pretend like they’re just being thoughtful, but in truth, you’re all they can think about. #4. You keep “running into” each other when you’re out of the house. Suddenly everywhere you go, there’s the bear. Places they never were before, now they are acting like they just happen to be stopping by. Don’t let them fool you, you’re being stalked like celery. The phone rings, you say hello, and all you hear is heavy panting and breathing. You are seriously regretting giving this bear your number. Now it’s getting serious. Get caller ID and don’t answer it when the bear calls, whatever you do. Answering only stokes the flames. Maybe your bear started out as a friend or has suddenly become buddies with your roommate. Whatever the case, if they can, they will continually “accidentally” leave things laying around just so they have a reason to pop in on you whenever they want. It’s best to mail the items back if you can. Don’t play its games. That’s exactly what the bear wants. You go outside to mow your lawn and find your dog ripped apart. Not eaten, just ripped apart in a fit of jealous rage. Now things have reached a new level. We suggest you go stay with relatives out of state. #8. It chases you in your car and tries to rip the doors off of your car. 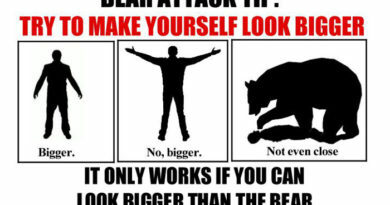 Bear chasing your car down the freeway, clawing at your tires? Trying to rip your car to pieces? 9 out of 10 times you’ve got a stalker problem. Floor it. Who cares if the cops catch you. At least they have guns and might be able to protect you. If this has happened to you, it’s time to face facts. You have a stalker bear. You need to go to the police station and file a police report, once they restaff. After you’ve done that, stock up on weapons of any kind. Look in your garage. Axes, fire, gasoline, chainsaws. Whatever you can to defend yourself, do it. Let me guess? You tried to douse this persistent bear with gasoline, set it on fire and pound it in the head with an axe? Looks like the only fire you ignited was this bear’s flaming obsession. Most signs are up to interpretation, but this one’s pretty cut and dry. If the bear killed you, it was stalking you. Unless it was a clear accident. Having a stalker is a miserable experience. Hopefully, by reading this article you can make more informed decisions from now on. 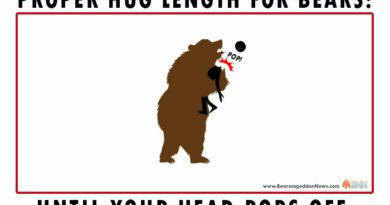 Bear stalking is an issue for everyone, why not share this with someone you care about? ← The Bear Issues: Where do the Candidates Stand?